What's New in this Lightroom Release > Lightroom Classic Updates > What’s New in Lightroom Classic October 2017 Release (7.0)? Lightroom Classic CC 7.0 (the new name the folder-based version of Lightroom) has been released today, including the first wave of performance improvements, a new embedded preview workflow for faster culling, and a new range mask tool for color/luminance based selections, in addition to the usual new camera/lens support. 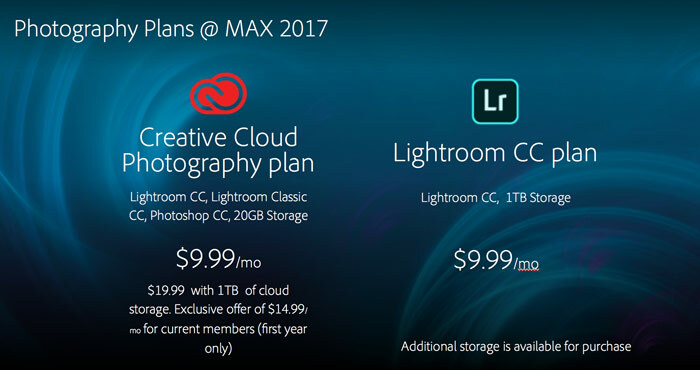 At the same time, Adobe announced that Lightroom Classic and future releases will only be available to Creative Cloud subscribers. To catch up with all of today’s announcements, click here. Before you jump to upgrade, a word of warning is in order. Performance is a tricky thing. Making a feature faster on one computer can make it slower on another, and the code changes are so widespread, it can create bugs in seemingly unrelated areas. I’d recommend exercising a little caution because opening a catalog into Classic 7.0 upgrades the catalog format, so you can’t easily roll back to 2015.12 if you run into problems. Lightroom Classic can be installed alongside Lightroom CC 2015, so if you’re an early adopter, perhaps test it using a clean catalog before upgrading your main working catalog, just in case. I’ll compile the early feedback into a blog post over the next week or two. Update 48 hours on… it’s looking pretty good. Lots of people have said it feels snappier on their computer, which is brilliant news. There are some bugs showing up, as expected. The main ones are listed at the end of this (linked) post. This isn’t a x.0 release in the traditional sense. Due to the subscription service, we’ve been gaining features in dot releases for the last 2 1/2 years, so this is another dot release (but a bigger one!). To use the embedded previews, select the Embedded & Sidecar option in the Import dialog’s File Handling panel > Build Previews pop-up. There’s an icon on the thumbnails so you can identify embedded previews at a glance. The embedded previews are used in the Library module until you edit the photo or you choose to generate standard or 1:1 previews. Lightroom’s own previews can be automatically generated while the computer is idle by checking the Replace embedded previews with standard previews during idle time in Preferences. The new Color Range Masking and Luminance Masking tools allow you to build complex masks for local adjustments. This means you can now mask detailed areas, such as trees and make localized HSL-type adjustment, which was previously impossible without moving to Photoshop. The Color Range Mask selects an area based on sampled colors, and the Luminance Range Mask selects pixels based on their brightness. 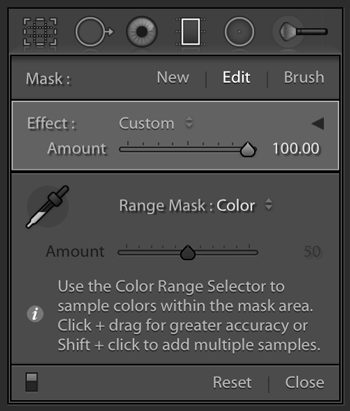 To use the Color Range Mask, first add a gradient or brush mask, then select Color from the Range Mask pop-up. Select the Color Range Selector (eyedropper) and click on your chosen color in the photo. You can add up to 5 samples. For greater accuracy, click and drag rectangles around the colors you want to adjust. Adjust the Amount slider to narrow or broaden the range of selected colors. Hold down the Alt key (Windows) / Opt key (Mac) to display the mask as grayscale while moving the slider, so you can easily see the selected area. 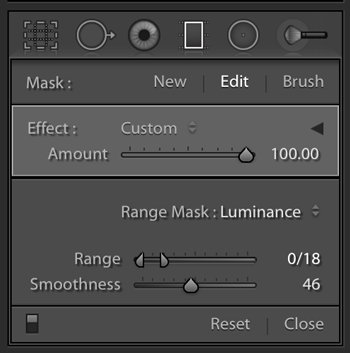 To use the Luminance Range Mask,first add a gradient or brush mask, then select Luminance from the Range Mask pop-up. Adjust the Luminance Range slider to set the endpoints of the selected luminance range, then use the Feather slider to adjust how smooth the falloff is at either end of the selected luminance range. Hold down the Alt key (Windows) / Opt key (Mac) to display the mask as grayscale while moving the sliders, so you can easily see the selection. A new File Type sort order has been added to the toolbar in the Import Dialog, so you can quickly select or deselect files by type. Photoshop Elements 2018 catalogs can now be imported into Lightroom Classic CC. Canon and Nikon SDKs used for tethering have been updated to support their latest cameras. The catalog format has been upgraded. The catalog size will shrink slightly because some values are being compressed to improve performance. The upgraded catalog cannot be opened in Lightroom CC 2015 or Lightroom 6. Improvements have been made to speed up launch times of larger catalogs and make Import from another Catalog faster. Standard, 1:1 Previews and Smart Previews are generated much faster (but only for Quad-Core or higher CPUs). Regenerating thumbnails, standard, 1:1 or Smart Previews is now faster due to a change in the Camera Raw cached preview size. Previews are pre-rendered when walking through images in Loupe view. Smart Collections under the “Title” field can now be set to “Is empty” and “Isn’t empty”. Lens Profile Correction criteria added to smart collection. Remove Chromatic Aberration criteria added to smart collections. Deleting a collection is now faster. New Process Version for changes to local adjustment masking (Auto Mask, Range Mask). New Process Version is called PV4. Old Process Versions renamed to PV1, PV2, PV3. PV3 images that don’t use Auto Mask automatically update to PV4 when you make Develop changes. PV3 images that use Auto Mask remain as PV3 unless you use Range Mask. Auto Mask now respects image noise reduction settings to help reduce “speckling”. Results may be different than previous versions, so only applies to Process Version 4. It’s now faster to switch from Library to Develop Module the first time after opening. Images load quicker in the Develop module when walking from one image to the next. Local adjustment brushing is more responsive. Spot healing brushing is smoother. Temporary color glitches when moving slider should be gone. Using brushes to draw a circular pattern now has less jagged edges. Multiple merge operations are now added to a job queue behind the scenes to avoid impacting UI responsiveness. The framework used for video rendering and processing for slideshows and video has been upgraded, so you should no longer see green frames with videos from Live Photos. Sync is now paused during import for better import speed. It automatically resumes after Import is completed, or you can manually resume by clicking in the Identity Plate to show the Activity Center. Camera Raw minimum cache limit is now 5GB. The minimum OS for Mac is now 10.11.x (El Capitan). To update, go to Help menu > Updates or click the Update button in the CC app. The update servers take a while to push the updates around the world, to avoid crashing the servers. If you’re a CC user, you can open the CC app, click the cog icon and select Check for Updates to give it a nudge. Just remember my warning, and try it on a clean test catalog first. Very interesting! Thanks for this great summary. I’m very excited to upgrade, but will wait to see how buggy it is. I’m a bit confused about the use of embedded previews. This seems like a great way to speed up culling. What happens if you make any edits, either using the arrows in the library module, or in the develop module? Does Lightroom automatically generate new previews, thus replacing the embedded preview, to reflect the edits? If you make edits, Lightroom automatically renders its normal previews. I’ll post back next week with the early feedback. When you open Lightroom 7, it’ll ask for permission to upgrade your catalog. Just select “choose a different catalog”, then the next dialog gives you the option to create a new catalog. Just import a few photos into that new catalog and check everything works as you’d expect it to. 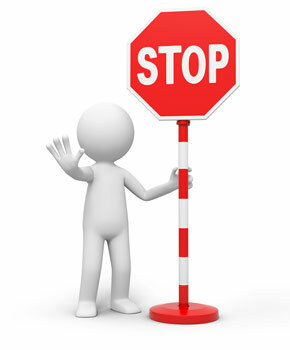 May I add the obvious that you backup your current catalog or catalogs first before doing anything else. Now that is almost December, is creating a new “test” catalog still necessary/advised? Until 7.1 comes about (and possibly a little thereafter), the recommendation still stands. There’s a risk of conflicts with graphics card drivers, and you’ll generally spot that fairly quickly in a test catalog. Looks like some very decent updates. Thanks for the info, Victoria. How do you tell the install to not delete the old version of LR? Thanks for the information on the improvements of this new version. When you click the Update button, there should be a screen with Advanced Options, and a checkbox to delete or not delete older versions. What’s your recommendation? Keep the old version at least for now? Just initially. Early indications are looking pretty good. Some GPU issues cropping up, and a few people not finding it faster but not finding it slower. Give it a few days and we should have a clear idea of how it’s looking. Or if you want to go ahead and install now, tell it not to delete existing versions so you can try Classic on a fresh catalog before you move over completely. I’ve been running LR6 for more than a year without a problem on my iMac. Adobe notes minimum required VRAM for LR7 (Classic) is 1GB. My IMac has 500MB VRAM. Do you believe this will cause a significant problem or performance issue if I upgrade? Should be fine Harvey. You won’t be able to take advantage of the GPU acceleration, but you probably couldn’t before either. When I try to download the ebooks (except the mobile one) I get the same file 3 times??? Oh that’s not right! Can you drop me an email (mail@lightroomqueen.com) please John, with a link to the download page (e.g. don’t post it here) and I’ll figure out what’s up. I’ve changed so many things today, a typo doesn’t surprise me! I found the incorrect link and I think I’ve fixed it – let me know if you’re still seeing it John. Yep, that’s fine. That just means your catalog was largely made up of history that’s now been compressed. The percentage of difference will depend on each person’s catalog. I’m paying $9.99 a month for adobe lightroom CC6. I have installed adobe lightroom CC6 on my laptop with windows 10. I have a desktop HP for about 6 years and it is saying it is low on disk space and must remove some programs. 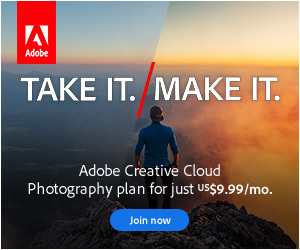 BUT, I want to buy a new computer desktop so I can install adobe lightroom CC6, which I do not have installed on my desktop because I do not have enough memory or RAM. I need your expert advise, should I go for a MAC OS or continue with WINDOWS OS? Are the colors are better with a MAC? What system requirements do I need to get on a MAC OS? Please respond because I need to go look for a computer. I appreciate your help very much. Thank-You. is it possible now to cascade several color enhancer layers like ON1, one for green, another for blue,… ? I haven’t used On1’s color enhanced layer, but if I’m understanding you correctly, yes, you can add multiple gradients or brush pins and they can each have their own color range masks applied. I know you’re swamped, but at some point it would be great if you could post a summary of bugs fixed in LR Classic 7.0 since 6.12. Adobe hasn’t published a bug-fix list yet, and yours is usually more complete in any case. Thanks! I’ll see what I can do. It’s slightly dodgy ground, if they haven’t chosen to publish them… NDA’s and all that. I’m with you. Yes, you could do basically the same thing using the local adjustment tools now, and you can stack them up. 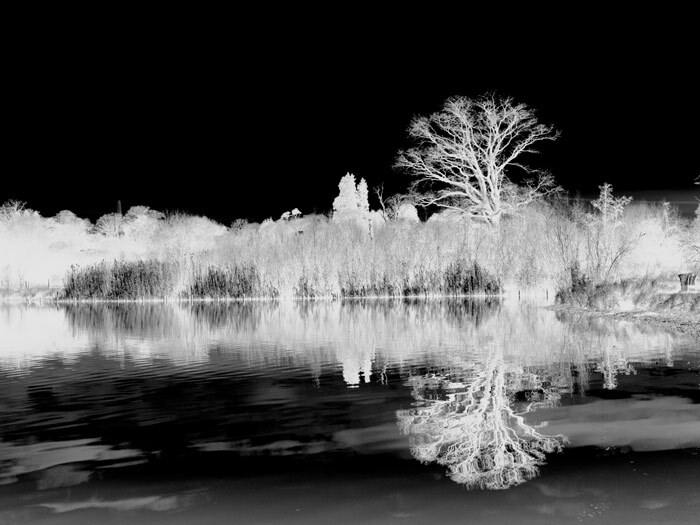 This means you can now mask detailed areas, such as trees and make localized HSL-type adjustment, which was previously impossible without moving to Photoshop. how does it work ? how can we make several hsl each with a mask ? You’d create multiple gradients or brush masks, and you’d apply a different range mask to each one. Have you used the local adjustments? I notice that the upgrade requires Mac OS 10.11. I have 10.5 on my mid 2012 Retina 16GB RAM, 750 GB SSD. At This Time is my only choice to upgrade to High Sierra AND how are peoples experiences with it? ( I used to like being on the bleeding edge, but age has mellowed me :^). Wow, it’s a long time since I talked to anyone on 10.5! High Sierra’s looking ok my MacBook Pro. I’ve held off updating my main working iMac as I’ve been rather busy with all of these changes, and the Wacom driver I needed has only just been released. I’ll update my iMac this weekend though, as I don’t have any major concerns. It’ll be a bit of a change from 10.5 though. I kind of used the adage of “if it ain’t broke, don’t fix it.” Things like that Wacom driver is why I don’t jump on the upgrades . I only have my one MacBook . 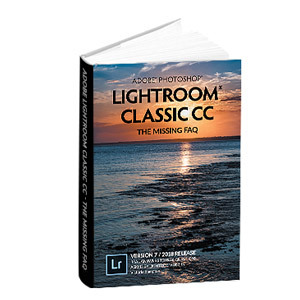 Hello, when will the Lightroom Classic Quick Start eBook be available? Thank You!! The Classic one will be the same as the LR6 one Howard, as everything still works the same way. I just need to change the cover! Bit concerned about the ‘Classic’ part. That’s often what gets added to programs before they are permanently retired. Lightroom is 90% of my professional workflow. If Adobe abandons the professional market to chase after the consumer market like Apple did (ie killing Aperture), we’re …. in big trouble. Trust me, it’s better than some of the names they came up with. 😉 They were aiming for the dictionary definitions “recognized and established value”. They’ve hired a whole load of new engineers who are really fired up about improving Lightroom, and plowing more resources into it than I’ve seen in a long time, so I don’t have any concerns about Lightroom longevity at this time. Thanks for the excellent overview of new features. Since we now have a new Process Version for the first time since 2012, I have a a few questions about updating Process Versions. Will all newly imported images be automatically set to use PV 2017 in the Develop Module? I also have loads of images in my catalog that have been processed in PV 2012. Sometimes I go back to re-edit some of them trying different approaches. To use PV 2017 I have to manually change the PV in the Calibration Tab. Is there any way to to bulk update all older photos to PV 2017? Is there is any risk that doing that would create unintended problems? 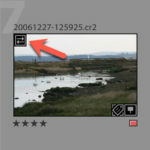 New photos will import as PV4 (yes, the new one) as long as you’re not applying an old preset. As you edit old PV2012, they’ll mostly update to PV4 on their own, with the exception of some that have automask applied (see the exceptions in the post above). I wouldn’t worry about bulk updating. Why do you refer to this as LR 7, when Adobe does not use the phrase LR 7 (or Lightroom 7) in any of their materials? This can only lead to confusion if you call it LR 7 and Adobe calls it Lightroom Classic CC. Partly force of habit. We’ve been through a lot of permutations over the last few months! But also, we’re still going to need version numbers for support cases, as we always have done, and they will also refer to it as version 7. We still need to know which update we’re talking about. Does upgrading the catalog to “Classic” (which perhaps should have been named “Pro”? CC looks very dumbed down) mess with the Previews file? With 410K images in my main catalog and a 3.15TB preview file (on 6 disk striped RAID for performance), it could be “bad” to impossible to rollback an upgrade if the previews are trashed, etc. Also, if it does change the previews file during the upgrade, do we double the disk space for the upgrade (which would be problematic)? Yes, the upgrade nicks the previews file (no duplication), making rolling back a bit of a pain to a nightmare if you’ve done lots of work in Classic. That’s why I recommend testing using a clean catalog before upgrading your main working catalog. Hopefully it’ll run perfectly for you, and then you’ll go ahead and upgrade, but since rolling back is difficult, I want you to be sure. So, the Creative Cloud photography plan includes both Lightroom CC and Lightroom Classic. May I store my files on my own drives AND the cloud? Or do I have to choose? I like the added security of having ‘my’ copies on a drive I can see. Maybe that’s old-fashioned now. Lightroom CC is included so you can dabble your feet in the water and see if you like it. If you do decide you like the simpler interface and cloud storage of Lightroom CC, you can migrate, and there is a checkbox in preferences to “store a copy of all originals locally” which I’d recommend you check, so you still have a copy on your own drive too. During the past year in Lightroom I had chosen to use smart previews instead of originals for image editing, under the belief that it made processing faster in the develope module (which I had read about somewhere). Given all of the new speed improvements in Lightroom Classic, does it still make sense to do this? In my new Lightroom Classic workflow I envision using embedded previews to do the the initial culling of a shoot after import . Once I’m down to a much smaller number of keepers, I would want to converted the Embedded previews to a Standard (or Smart) preview for development. I have no need to use Smart Previews for any other purpose other than speed up developing (my storage drives are always connected to my desktop, and I have no use for LR Mobile). Going forward would I be better off using Standard or Smart previews? I think using Standard previews would be the better route, unless processing Smart previews is significantly faster. Try both and see. In theory, smart previews are still faster, simply because they’re smaller files to load and have less pixels to manipulate. Whether they’re a big enough improvement to warrant building them will depend on your workflow and computer specs though. I recently downloaded and installed LR6 to my Mac running OS Sierra,10.13. The program starts to load but then crashes giving a message for “quit enexpecedly”. Is there anything I can do to overcome this or do I need to bite the bullet and subscribe to LR CC. I’ve just seen another report which sounds similar. If I understand correctly, it’s High Sierra (10.13) only, and is triggered by having multiple devices (SD cards) attached. Ring any bells? The other likely suspect is GPU. In the new LR cloud based prog you can add Keywords in a ‘flat’ format ie no UK-West Coast-Beach. Thats sound good BUT they don’t sync across to LR Classic or anywhere else for that matter, just in the cloud. Useless I would say. LR 7 works fine on my computer. It seems to be significantly faster, the catalog is much smaller (about 30 K images, from 6 Gb to 1,6 Gb; yes, history was a big part of it), and now develop module sliders are smooth to adjust using a Wacom tablet (new Wacom driver; OS X 10.13). New features look good. Thanks a lot for your posts and suggestions. I am positively waiting for LR future developments. The use of the after/before key \ crashes the program . At restart , I have casually: the welcome splash screen; a green screen with non side bars; the correct display of the develop module I had on the screen before the crash. Is it possible for LR6 to import a catalog exported from LR7? I’d like to keep my desktop catalog at LR6 for a while as I test out LR7 on my laptop. No, LR6 won’t understand LR’s catalog format. You could use Metadata menu > Write Metadata to Files and then import into the LR6 catalog, but you’d be missing stuff like flags, virtual copies, collections, Develop history, etc. Upgrade from old LR CC 2015 to new LR Classic CC went off without a hitch, and new version working just fine. It’s a good safety blanket having the previous version initially, John, but great it’s all working well for you! Thanks Victoria for the careful back-and-forth. I don’t post much but read often. I appreciate your thoughtfulness in your postings. I’m baffled. I had a standalone Lightroom 6 and a free account in CC. When I did an update to 6.13 I noticed Classic CC as an update option (not trial). It installed alongside LR6 (I now have two copies of LR on my system). The new one doesn’t mention “Classic” anywhere but calls itself LR 7 or LR 6 ver 7 depending on where I look. What have I got? Thanks, Paul. 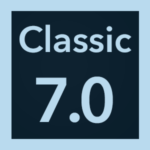 It says Lightroom Classic version 7.0. Mystery solved.